Ability, originality and accomplishment. In Michael Woods’ short career he has managed to touch on every cornerstone, leaving proof of his musical competence at producing big room, progressive and tech-house tracks, along with a discernible motivation to better the quality of music being distributed. This has not gone unnoticed with DJs like Pete Tong consistently throwing props his way. From Argentinean & Guyanese decent, he was born and raised in Hackney London which he still calls home and runs his studio from there. Classically trained in a range of instruments at an early age provided Michael with a catalogue of creative skills including the keys (which he learned to play at the tender age of 3), guitar, drums and trumpet, practically making him a one man band. When not in the studio messing around with Logic, developing his craft, he would be found at Pimlico’s Trinity Music College where he contracted a love for musicality, often using his spare time orchestrating with the percussion section of the London Symphony Orchestra. 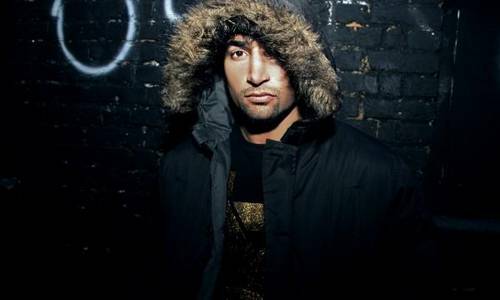 Earlier achievements include his debut single, “Warrior” released in 2000 and the critically acclaimed remix of Energy 52’s “Café Del Mar”, both of which are still considered as classic’s among DJs and fans alike. But today’s finished products could not sound more different. They carry a deep, driving and delectable collection of electronic sounds, with melodious, cascading synths and hands-in-the-air rush-inducing drops. This is what Michael Woods is renowned for, and has created an individual sound that he is pioneering, making him a stunning example of an artist that flows with, as well as initiates, music’s changes. Collaborations with the likes of Chris Lake, Funkagenda & Mark Knight conclude as featured tracks on various compilations and act as proof of his skillful production abilities. It’s alliances like these that excite the growing fan base, but are not the sole examples of his talent, as original tracks such as “Nitro”, “Midnight Run”, “Dynamik”, “No Access” and “First Aid” are continually supported. Alongside an impressive catalogue of tracks on numerous labels including Mau5trap, and Toolroom Records, many established artists such as Underworld, Martin Sloveig and Moguai have hired Michael Woods to renovate their sound into a style which emulates his musical vision, including the Deadmau5 & Chris Lake’s “I Said”, which became the only remixed track featured on the 2010 album, “4×4=12”. In addition, mainstream artists such as Kylie, Estelle, The Ting Tings, The Temper Trap, P Diddy and Ginuwine ft Timbaland & Missy Elliot have all borrowed his insatiable remixing skills, leaving his studio rarely empty. His ability to rework music with an exceptionally sharp ear for quality production has left him in high regard with many artists and labels across the industry, leading to a nomination for ‘Best Remixer’ at this year’s 2011 IDMA’s (International Dance Music Awards). Michael Woods now borrows some of this growing respect offering it to his label, Diffused Music, which houses applauded tracks from him self and others. The rapidly growing label is another imperative ingredient in furthering the exhilarating Michael Woods history book. As well as the continuous success of his music, his dexterity as a DJ completes Michael Woods as a dynamic and credible artist. In demand across the globe he plays everywhere from Europe to USA, ending 2010 with a successful USA Tour. Other accomplishments to-date includes a summer residency for Cream at Amnesia in Ibiza (2010), while Deadmau5 invited him on his infamous 2010 UK tour. The latest addition to Michael’s ever increasing list of successes is being crowned the new global resident at one of dance music’s biggest super brands: Ministry of Sound. With industry heavyweights like Fedde Le Grand, Benny Benassi and Mark Knight as his peers, this is yet another triumph for Michael Woods and marks his growing importance in dance music today. After a year of unprecedented success, this residency is another milestone in his career, which sees Michael Woods playing as the face of the Ministry worldwide for a whole host of events, adding his name to the array of esteemed DJ’s that already accompany the Ministry brand and reputation. For 2011, Michael Woods continues his relationship with Ministry and kick starts a new series of mix compilations for the brand, aptly entitled Ministry of Sound – Residents. Not a first for the artist, after the infamous Amnesia dance-house honoured Michael by asking him to mix one side of the “Amnesia Ibiza Deejay Sessions vol.6” compilation to accompany the Cream summer residency. All are prime examples of the ever growing popularity of Michael Woods, where his presence is always well received by fans and top clubs alike. It is clear that his creativity knows no bounds, and each attainment is just another chapter of this musical characters story.